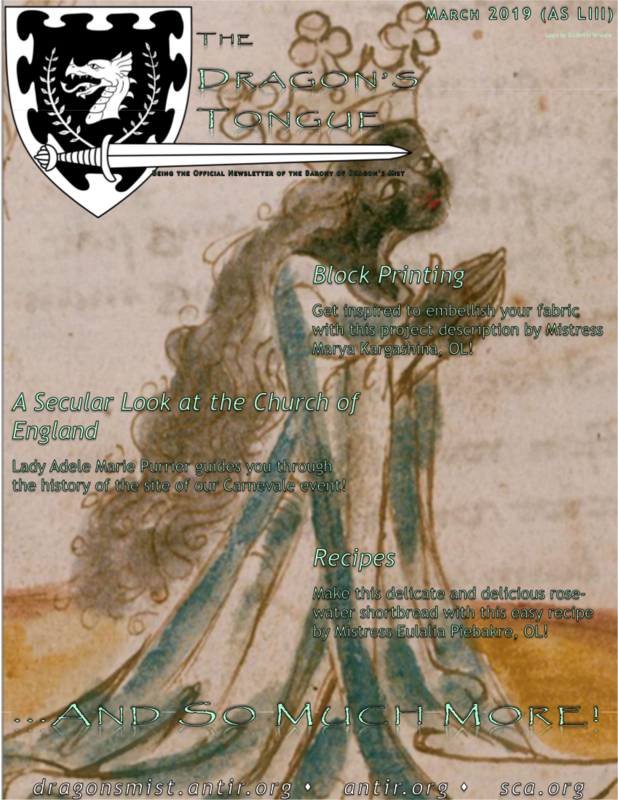 The Dragon's Tongue (known as the DT) is the monthly newsletter of the barony of Dragon's Mist. It contains copies of all of the officer's reports, meeting minutes from that month's business meeting, baronial curia (contact information for their excellencies and all of the officers), and other information such as articles, photo galleries, letters of intent for open offices, and anything else we can manage. Help us publish the best newsletter in the Kingdom! Interested in other SCA Publications?